2) $40 Million – LA SAFE and HUD. 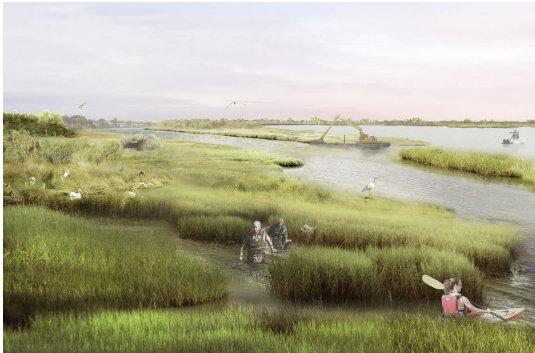 In a new program called Louisiana’s Strategic Adaptations for Future Environments, dubbed “LA SAFE,” the Foundation for Louisiana spent months researching data and engaging the public around our changing coast and what that means for communities. LA SAFE ultimately selected 10 resiliency projects to implement that, ideally, could be replicated across the state. These projects will share $40 million of federal Housing and Urban Development funds coming to New Orleans. Read Drew Broach’s article, “These 10 Louisiana coastal community projects will share $40 million,” in The Times-Picayune to learn more.